On September 29 2003, Madonna promoted her first children’s book, The English Roses, at the Barnes & Noble store at the Rockefeller Center store in New York, with a meet and greet. 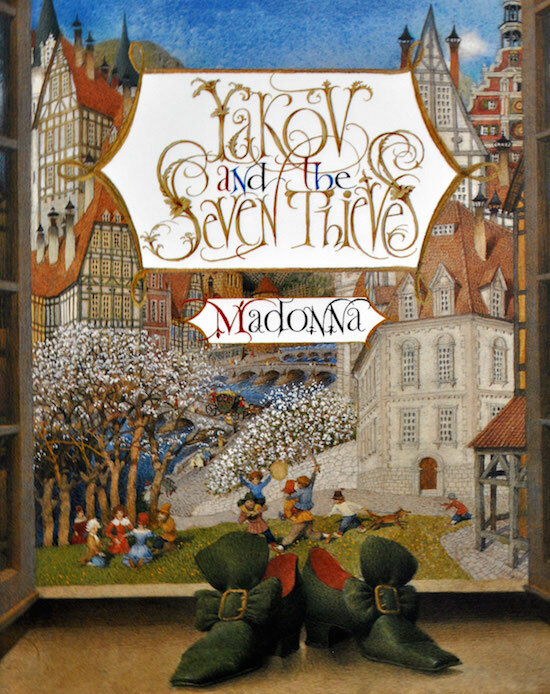 On December 24 2009, Catch The Bouquet, the 12th and final book in Madonna’s The English Roses series was released. The English Roses’ number-one teacher, Miss Fluffernutter, is getting married—to Binah’s father! The Roses couldn’t be happier for their beloved teacher, or for Binah, whose own mother died when she was just a baby. And Binah is thrilled at the idea of having a stepmother like Miss F—that is, until she realizes that a new woman in her father’s life means less time for Binah. Binah misses her father terribly. And it doesn’t help that Charlotte is driving everyone nuts trying to plan the perfect wedding. Can the English Roses save this walk down the aisle from going totally awry? On October 31 2006, Madonna read to a small group of children from her new book, Too Good To Be True, the sequel to her best selling children’s book, The English Roses, at Warner Brothers Records in New York. 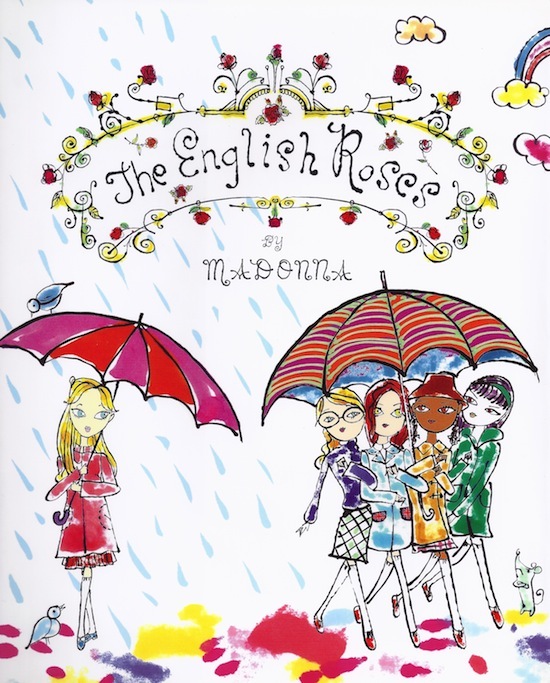 On May 30 2003, Callaway Editions announced that Madonna would make publishing history as her children’s book, The English Roses, would be released simultaneously worldwide in 30 languages in 100 countries. The English Roses is a children’s picture book written by Madonna and illustrated by Jeffrey Fulvimari, which later became a series of children’s books by both artists. The books are about the life of five schoolgirls in London and their problems growing up.